Pierce College embarked on a major expansion in the early 2000’s that continued until 2015. New classrooms, buildings, dormitories and recreational facilities will allow the school to serve a larger student population and provide each student with greater educational opportunities. The Berliner Architects Aesthetic Master Plan provides an architectural vocabulary that unites the diverse architectural styles on the Pierce campus into a cohesive whole that can be incorporated into new buildings. Roof forms, building materials, and landscape elements will have a consistent architectural style based on the original Mission-style structures. 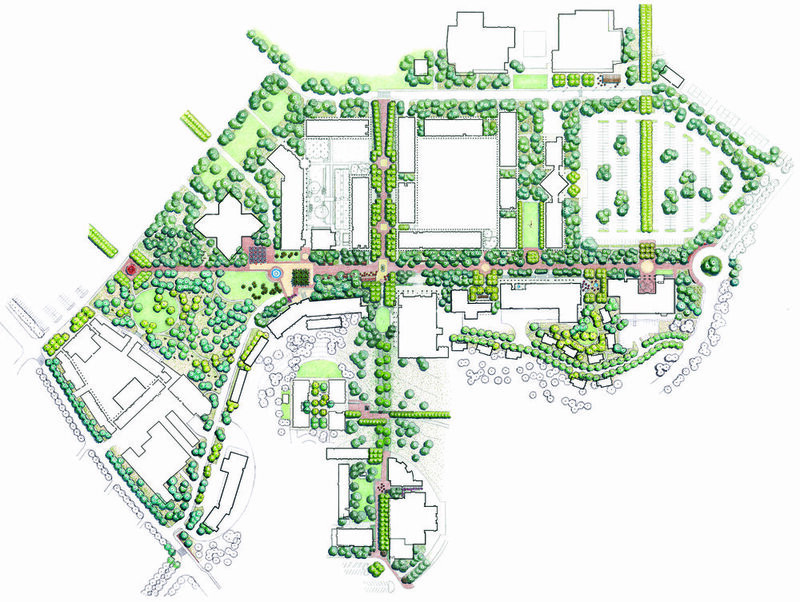 As a follow-up to the Aesthetic Master Plan, Berliner was selected to design the Campus-Wide Improvements for Pierce College, working with Lisa Gimmy Landscape Architecture on Phase 1 and AHBE Landscape Architects on Phase 2. Campus improvements include a revitalized pedestrian mall and renovation of all exterior spaces in the campus core.